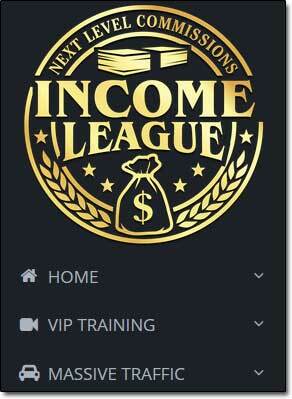 Income League – Scam or Legit System? My Review Uncovers The Truth Behind It! 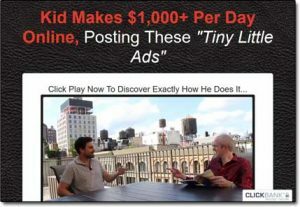 You’re led to believe that all you need to do is sign up & follow some simple instructions for posting “tiny little ads”… Then once you begin posting them you’re told you’ll immediately begin making money… But is it really legit? Or will Income League scam you instead? What Exactly Is The Income League System? So as I briefly touched on above the Income League system is something that’s allegedly been designed to help you “easily” earn as much as $1,000 per day through affiliate marketing – which is were you promote 3rd party products online in return for commissions. An example of affiliate marketing (in case you don’t know what it is) would be promoting products from Amazon. You could sign up as an Amazon affiliate & you’d get a unique link for each of their products – then if somebody clicked the link & made a purchase the sale would be tracked to you & as a result you’d earn yourself a commission. Affiliate marketing itself is a legitimate way to make money online & it’s actually the exact same way I personally make most of my own money online… However to make money from it you need to put in some work. If you don’t do the work to promote your links then nobody will click on them & you won’t make any sales… And if you’re not making any sales then you won’t make any commissions, so getting clicks is important. Unfortunately though I can tell you right from the off it’s simply not true. There never has been & never will be an automated or super easy way to make lot’s of money online – whether it be through affiliate marketing or even any other method. There are lots of systems that promise it – but that’s just because they want to trick people into signing up so that the creators can earn money for themselves by getting people to part with their cash. Everybody loves easy & everybody loves money… So that’s what the creators of these types of get-rich-quick systems prey on – the want for “easy money”. And Jamie Lewis, the other guy in the video has also created several other make-money systems in the past too. One of which I recently reviewed, which was called the CryptoProphecy program (fronted by a lady known as CryptoGirl). The truth is that these 2 guys are indeed EXPERTS when it comes to making money online. 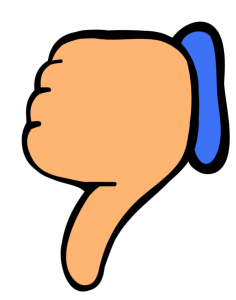 They’re both awesome at creating high converting products & they’re both awesome at affiliate marketing… But sadly in my opinion the products they do put out never really seem to entirely deliver on their promises. I mean for example just a few paragraphs above I listed 6 of Matthew Neer’s make money systems, all of which claim to provide easy riches… Yet I’ve not seen a single one of them live up to the claims that they boasted on their sales pages. Instead after signing up to them, rather than making “autopilot money” like you’re led to believe you will you’re just left to find out that the real way you make money with them is by getting other people to sign up to them & invest just like you did – which is pretty hard work. There’s no “automated” or “viral” sales system at all. How Does The Income League System Work? Then from there to get “full access” to the program you’re faced with several additional upsells which push things like “VIP Training” and “Massive Traffic Training” onto you at an additional cost. But even after buying those you’ll still need to have a pretty large budget set aside to stand any chance of making money as like I just mentioned the whole thing revolves around paid advertising (hence the mention of “posting tiny little ads” in the sales copy). What they don’t tell you though is that paid advertising is VERY risky and almost always involves a LOT of trial & error… Even for the experts. I’ve known people burn through tens of thousands of dollars before they’ve even managed to get their advertising campaigns breaking even, let alone breaking a profit. It might seem like an easy & quick way to make money but trust me the only thing it’ll easily do is burn through your bank balance. If it was truly as simple as buying an advertising slot at “$1 per click” and earning “$2 per click” (or even $1.01 per click!) then everybody would be doing it…. Sadly it’s not. But anyway – I know what you’re wondering… What will you be advertising? Well, just like the majority of Matthew Neer’s products, what you’ll be promoting is his product… So you’ll be pushed towards buying “licensing rights” to resell his program, then you’ll be promoting his program to others. My Verdict – Is Income League a Scam? The Income League system is definitely not a scam, but at the same time it’s not really something I’m going to be recommending to you because in my opinion there are better alternatives out there, such as Wealthy Affiliate for example. The primary reason I’m not too fond of the Income League program is because it heavily focuses on paid advertising which costs a lot of money & could see you losing a lot of money too, especially if you’re brand new. But on top of that I don’t really like how the $47 that you initially pay doesn’t get you access to the full program either. Instead you’re forced to buy “upsells” to get access to all of the content that’s inside.